While enrolled in the MFA Program in Creative Writing at Hamline University from 2001 to 2007, I not only had the opportunity to take multiple classes in fiction with Sheila O’Connor, but I also had her as my thesis advisor. My first published novel for middle graders, Tango: The Tale of an Island Dog was the result of a life-changing collaboration with this amazing teacher and writer. 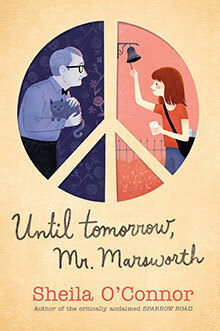 Earlier this summer I visited with Sheila about her latest novel for children and young adults, Until Tomorrow, Mr. Marsworth, a finalist for this year’s Midwest Independent Booksellers Choice Award. 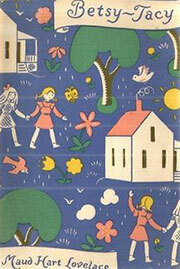 As a young child, my favorite books were the Betsy-Tacy books by Maude Hart Lovelace. My mother read those novels to me before I could read, and I know those books were the start of my love affair with the novel form. I vividly remember imagining those characters’ lives, and wishing I could live the story with them. I wanted my own best friends, my own Big Hill where we could meet for picnics. 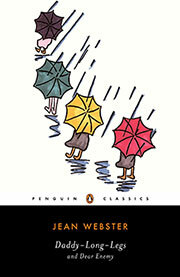 Mostly I wanted a life of great adventures like Betsy, Tacy and Tib lived. What was your inspiration for the story about Reenie Kelly and Mr. Marsworth? Well, here we’re visiting another childhood literary influence. I think my real inspiration for Until Tomorrow, Mr. Marsworth came from a book I read in fourth grade called Daddy-Long-Legs by Jean Webster. It was an epistolary novel written in 1912 for “college girls,” and while I was a good eight years from college, and a long way from 1912, I was a great fan of the form. So my dream to write an epistolary novel was formed young. Describe some of the challenges of writing an epistolary novel for children. The challenge with the novel, regardless of audience, is the need to show rather than tell, and the primary device for showing is the scene. The scene is really a method of narrative execution, and I had to have a narrator—Reenie Kelly—for whom that method would read naturally. Beyond that, there was the literal passage of time because life continued while letters were waiting to be written and answered. Also, in the letter, there is as much unsaid as said, and it’s that withholding of information that gives the letter its power. You have to trust the reader to read between the lines, and I did. I have great faith in young people’s ability to read between the lines. Is Lake Liberty a real town in Minnesota? Is there a real town that inspired the setting? Lake Liberty is an imagined town, but it was inspired by the “old town” section of Wayzata back in the 1960’s. This was the place where my father was born and raised, and my O’Connor relatives all lived. Like Reenie Kelly’s grandmother, my grandmother had a little house at the top of Gardner Hill, a house with an attic bedroom where her three boys once slept. 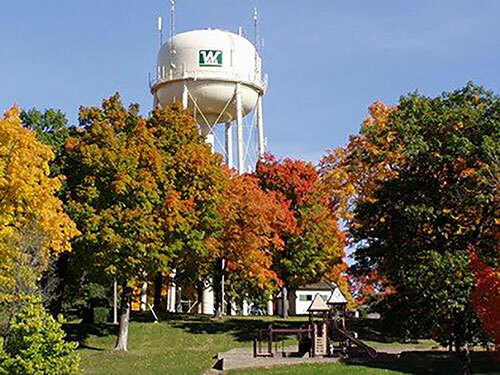 It was just beneath the Wayzata water tower, with an overgrown woods that later became part of a freeway, and in the years before that freeway, I spent many happy days playing on that land, and in that neighborhood. When I picture Lake Liberty, I picture the Wayzata of my childhood—the movie theater, the A & W, the small cottages on the lake. I was an outsider to that town, just as Reenie Kelly is an outsider to Lake Liberty, and I was keenly aware of how deep the ties ran for long-time residents. Your story is enriched by an interesting cast of secondary characters. Who is your favorite and why? Oh, you know that question is too hard for a writer to answer! I truly loved them all, even the less lovable characters like Gram. I hope that each character is a fully realized human being with desires and flaws, because that’s what I want to see in my work. I love Billy for his gentleness and humility, and I love Dare for his ragged edges and his bravado. I love Skip for the friendship he extends to Reenie Kelly, and how carefully he navigates the letters that he sends from Vietnam. I love Sno-Cone for her intelligence, and her ability to expand Reenie’s world. And of course, I love Mr. H.W. Marsworth for his great patience, and his quiet courage, and his unending kindness. I love that he is willing to be changed by Reenie, and that he allows a child to teach him lessons he still needs to learn. If you didn’t write books and teach creative writing, what would you do for a living? My first love is children, and I think if I hadn’t been able to teach writing to adults and children, I would have worked with children in another capacity, perhaps as a child psychologist or sociologist who specialized in the lives of the children. Both of those were interests when I began college, but they were put aside for writing. If you were an animal, which animal would you want to be? In terms of temperament, I’m probably most like a dog. I’m happy to be a loyal companion, to sleep between walks, to enjoy the world on a sensory level. We have an adored family dog named Rollo, a Brittany Spaniel mutt, and I wouldn’t mind living his existence. Maybe in my next lifetime, I can sleep next to my owner while she writes. 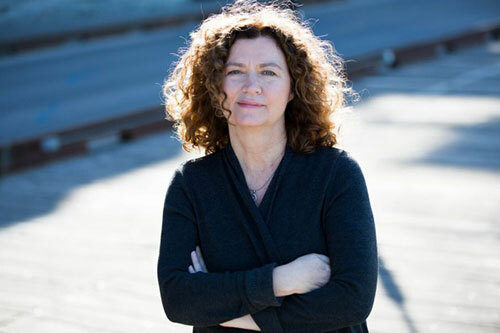 Sheila O’Connor is the critically acclaimed author of Sparrow Road, winner of the International Reading Award, and Keeping Safe the Stars, as well as the adult novels Tokens of Grace and Where No Gods Came, winner of the Michigan Prize for Literary Fiction and the Minnesota Book Award. A writer of poetry, fiction, and creative nonfiction for audiences of all ages, Sheila is a professor in the MFA program at Hamline University, where she also serves as the fiction editor for Water~Stone Review. You can visit Sheila at sheilaoconnor.com.